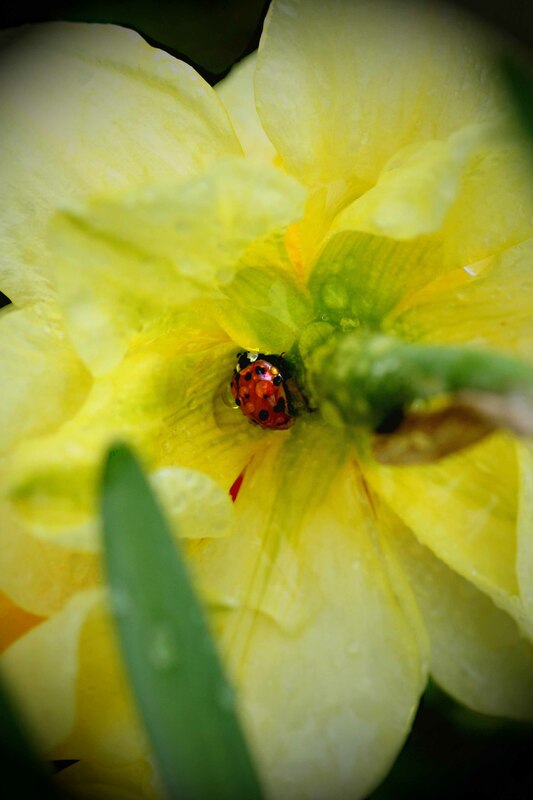 Rainy today, and this little ladybug is looking for a drier place to hang out. Personally, I'd perch inside the flower, but what do I know? The question was RHETORICAL, people.